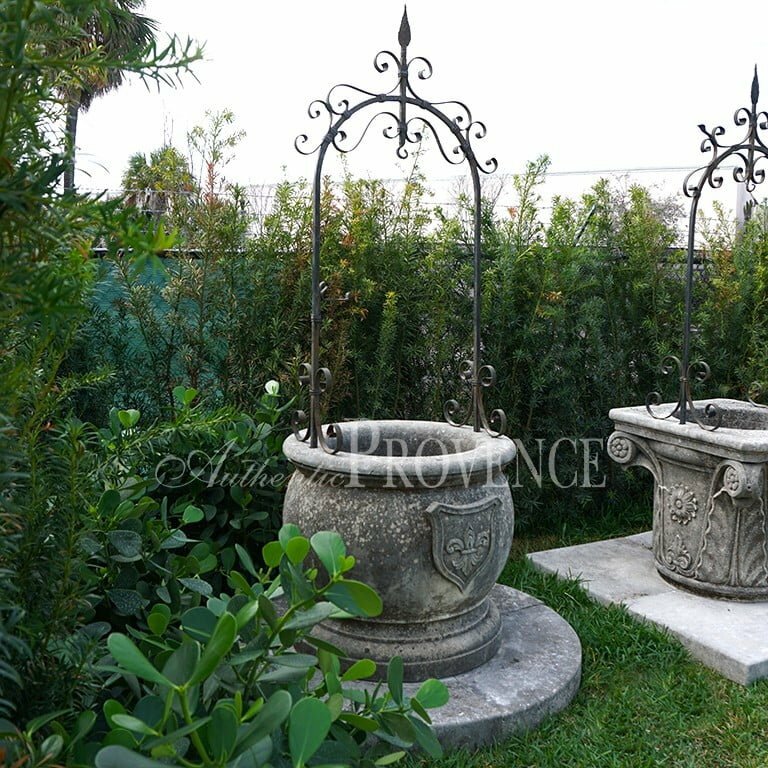 Every person who has visited Venice must have taken note of the ornamental wellheads. 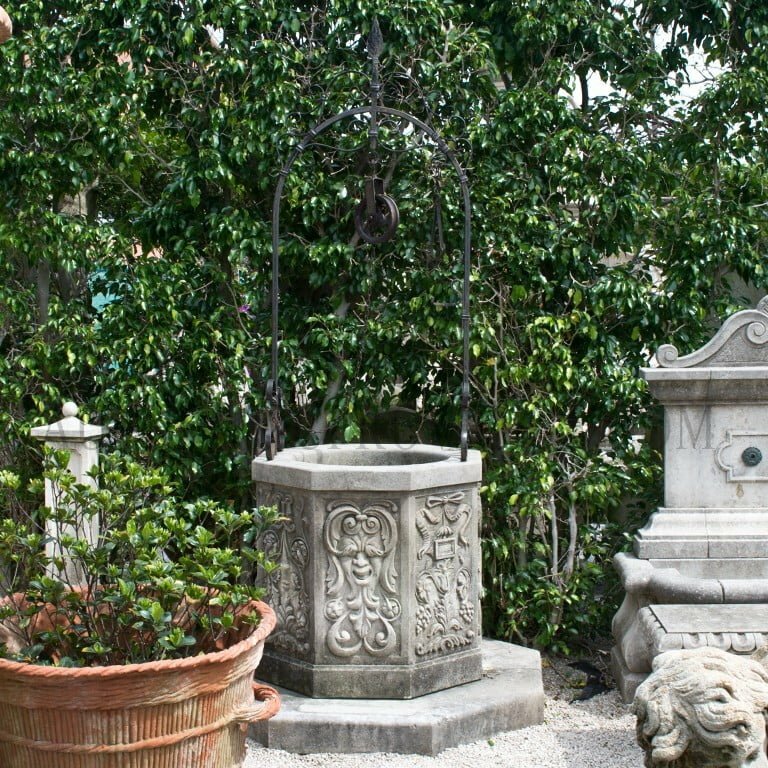 The famous bronze wells in the court yard of the Ducal Palace will, of course, be in everyone’s recollection. 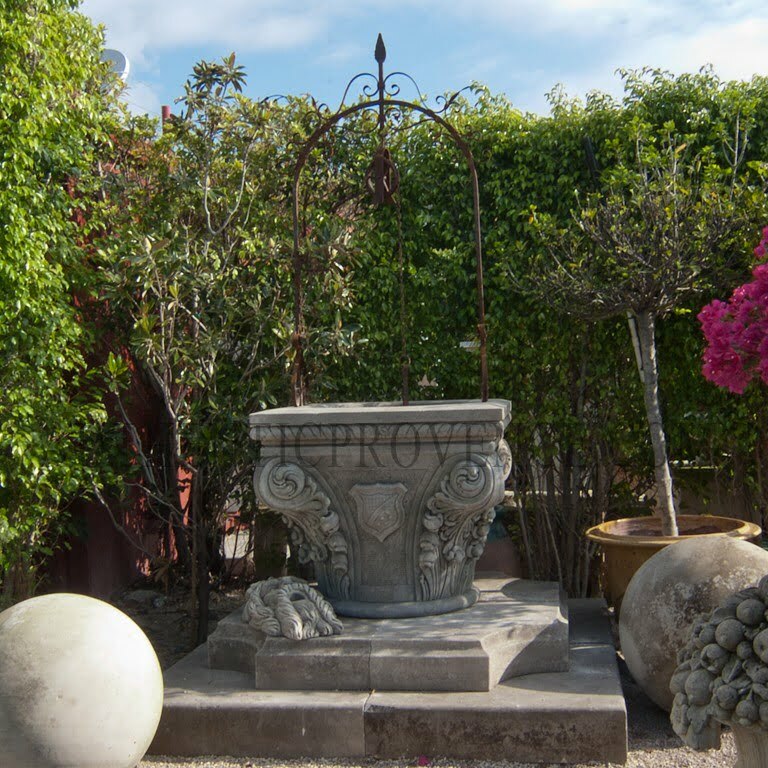 Almost every house in Venice has its “vera da pozzo” of stone or marble. 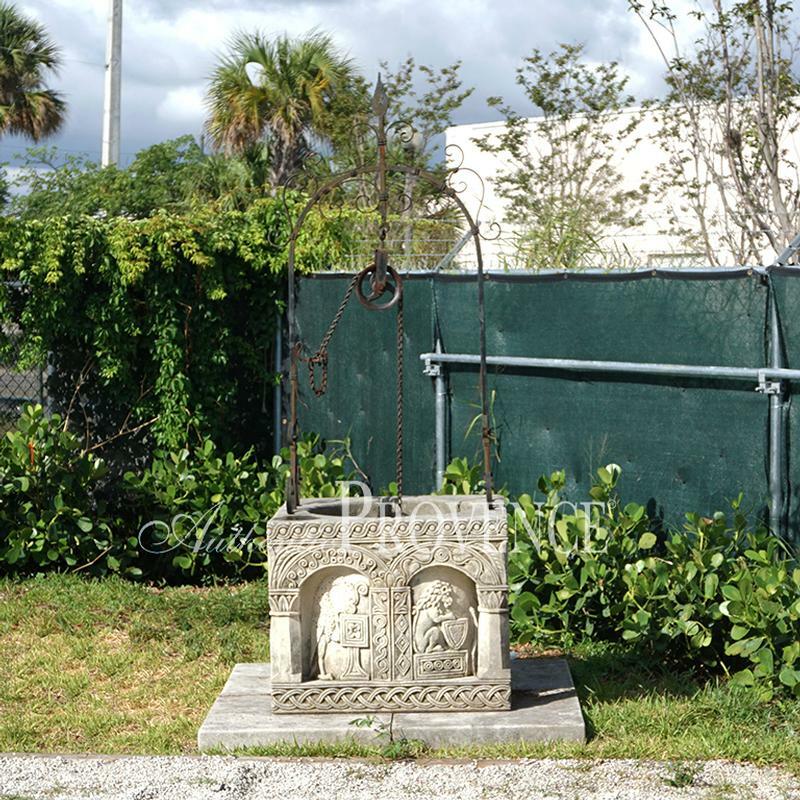 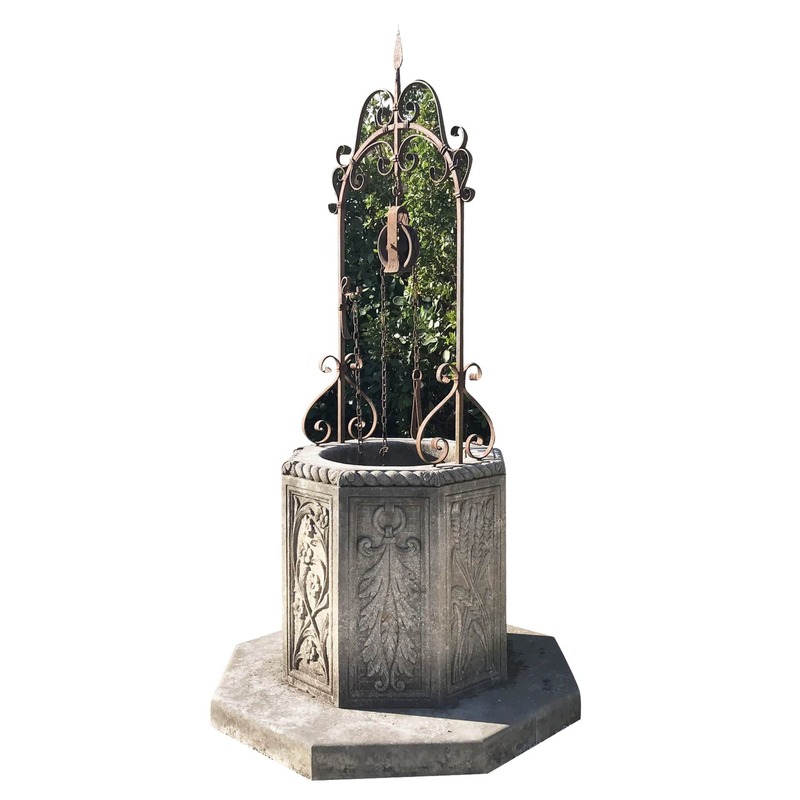 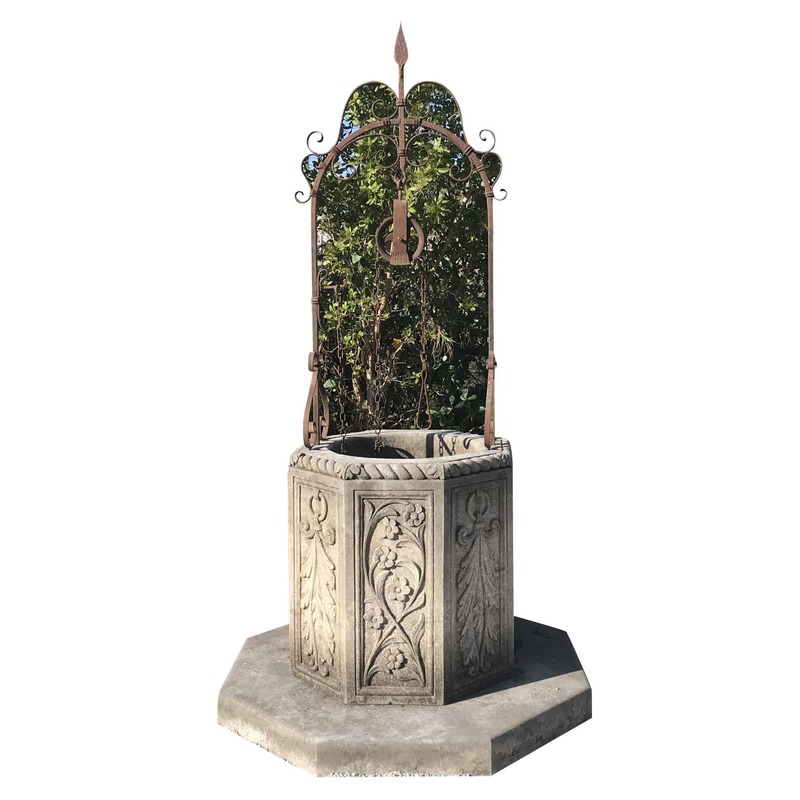 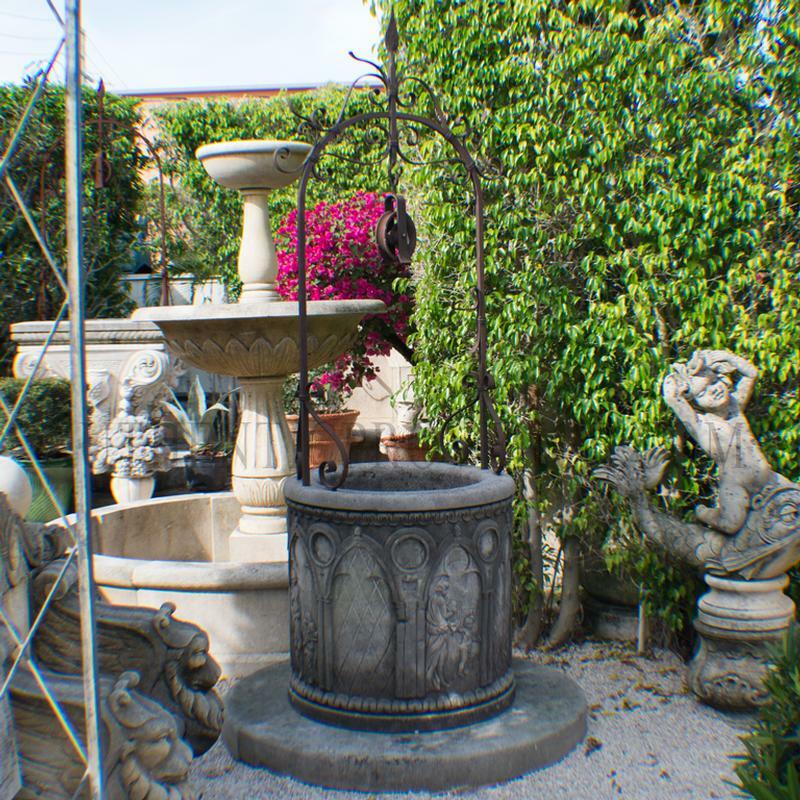 Our selection of Italian wellheads is a very charming solution if you are undecided between a fountain and a statue. 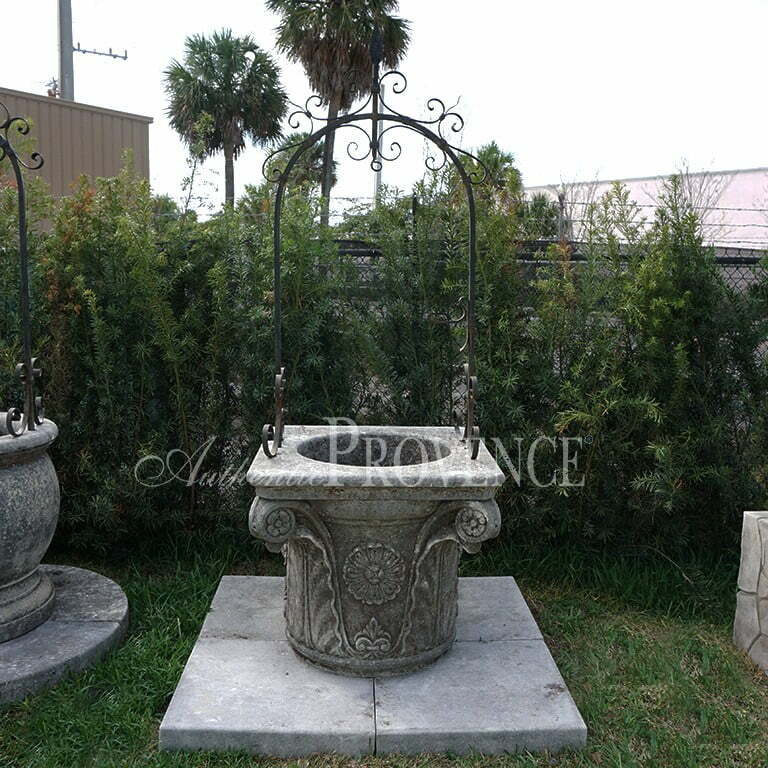 These wellheads have been carved by hand in limestone and are raised on a platform. 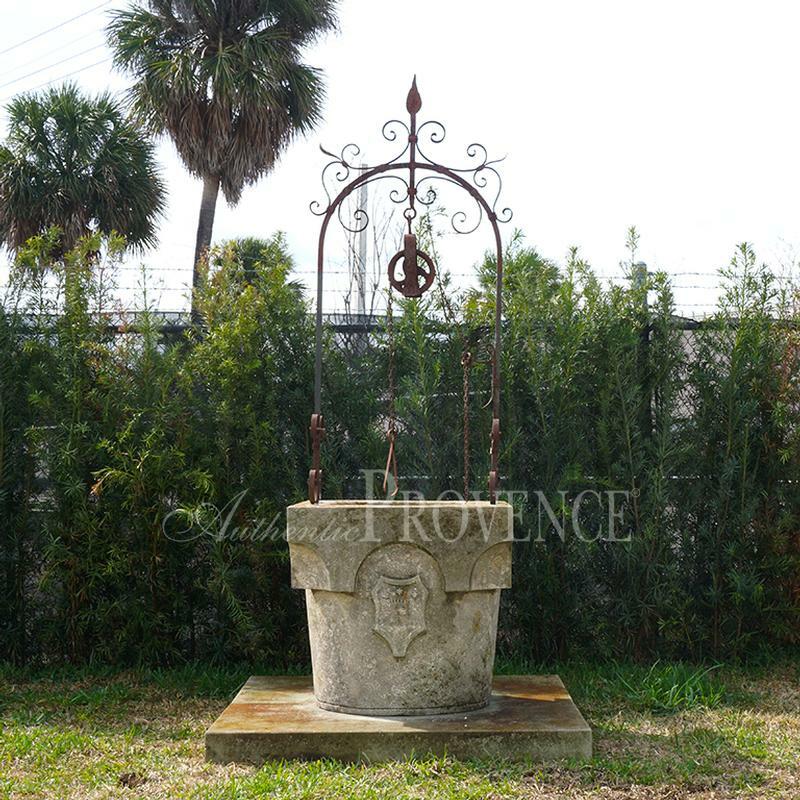 Each wellhead is accessorized by a very ornate wrought iron overthrow which makes it so unique. 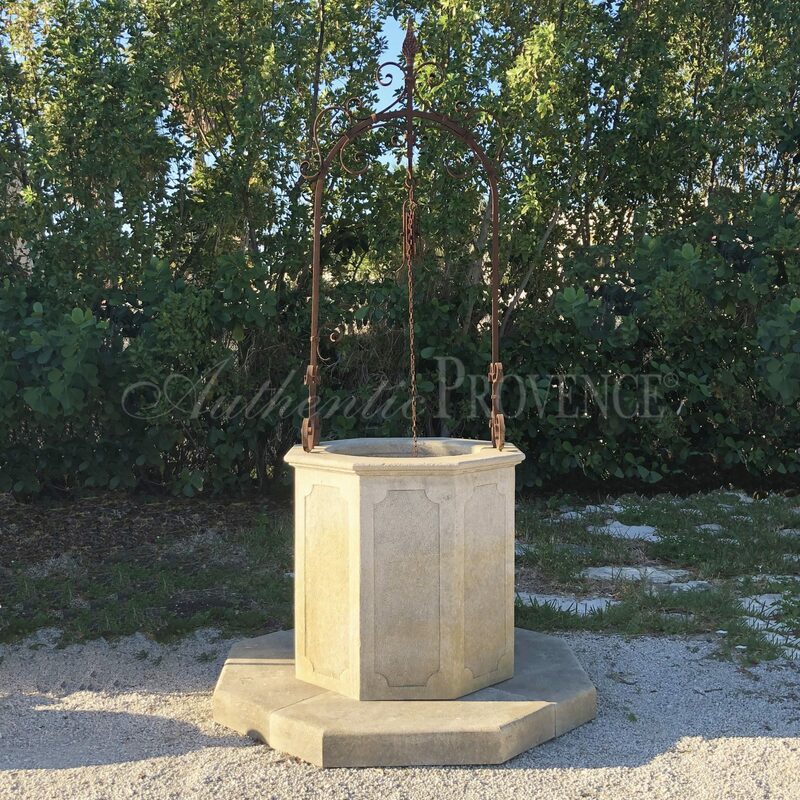 We can also customize the perfect and unique piece to your specification if the antique wellhead does not suit your needs.